Holds one (1) wine bottle and four (4) wine glasses. 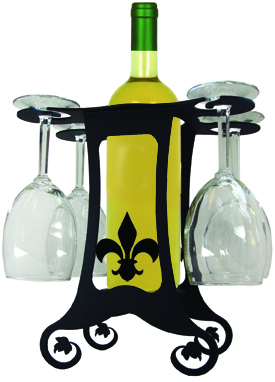 Our wine caddies and glass racks have a baked-on powder coating for many years of enjoyment. 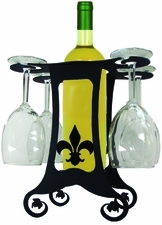 This American made wrought iron wine caddy and glass rack is handcrafted in Fabius, New York, by Village Wrought Iron.